Scoop a ball with wet hands and form a little pocket in the middle to stuff in your choice of fillings. 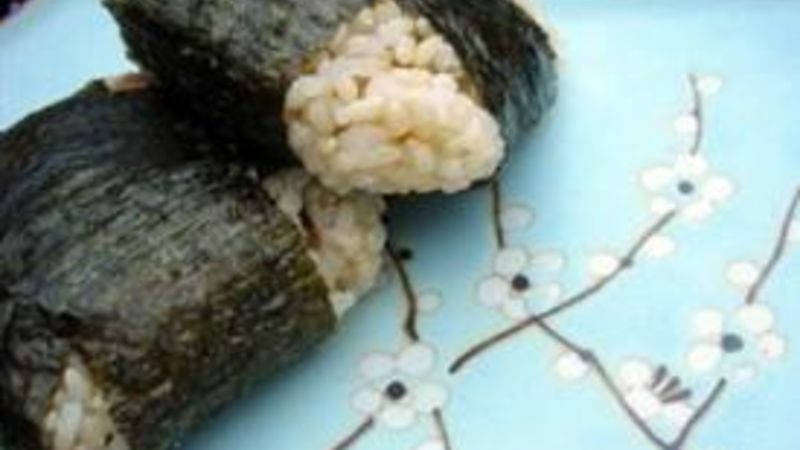 Cap the filling with more rice, form into a rounded triangle or ball and slap a little strip of nori on to keep your hands from getting messy when grabbing one. You can also wrap the balls completely, or just use one strip.